The TC8300 touch computer revolutionizes work through its ergonomic design, so it increases productivity by 14%. But it has much more to offer: a 2.2 GHz octa-core processor, up to 8 GB RAM and 128 GB of memory, Android 8.1, the latest WLAN, Bluetooth and NFC. The TC8300 is certified to meet IP65 standards and is impact-resistant from 1.8 m according to MIL-STD-810G; even 2,000 shocks don't bother it. And no matter if the humidity is 5% or 95%, the TC8300 remains reliable. Plus it has a PowerPrecision battery with 7,000 mAh. Operate it with a finger, gloves or a stylus pen via the 4" LCD Corning Gorilla Glass display with 400 nits. 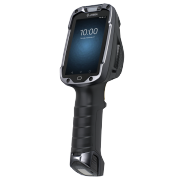 Zebra offers the TC8300 in several variants: with a 1D scanner, an omni-directional 1D/2D imager, an extended range 1D/2D imager or with a direct part marking imager. 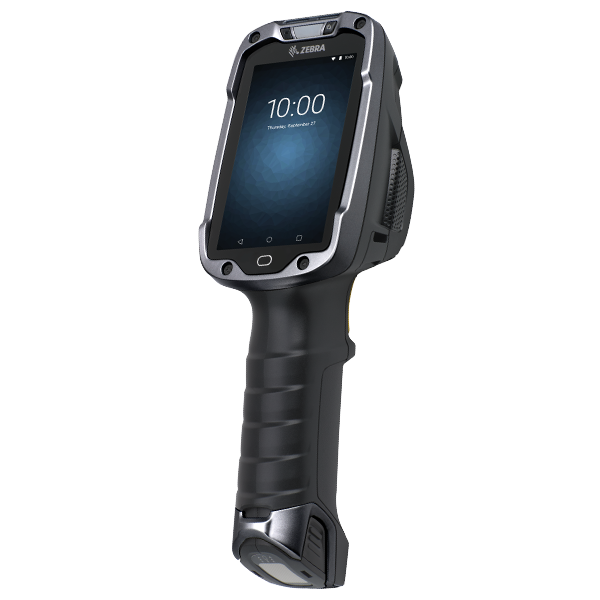 Two hands-free scanning modes from a distance of 15 cm or 60 cm round out the package. Order the Zebra TC8300 now with your sales representative! Go ahead and make that call!